The first social recce run in the series. 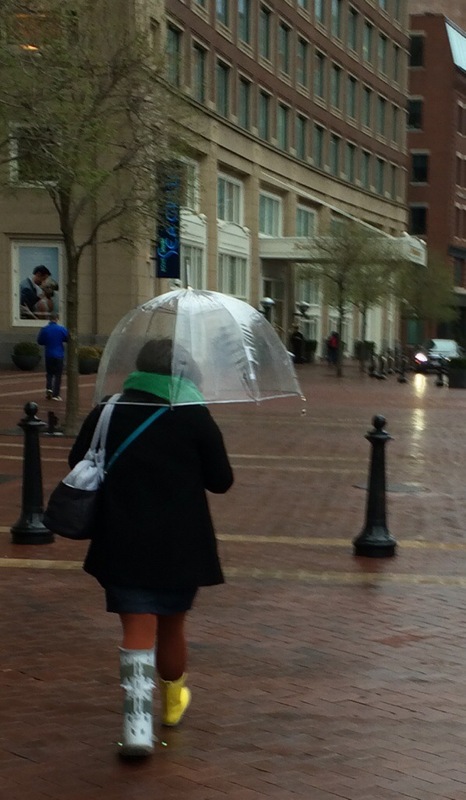 Courtesy of Running Concierges, Bridget and Paul from the Westin Waterfront Hotel, a group of us from the 2014 Ceres conference gathered in the early morning drizzle for a three mile run around Boston Harbour. This resilient young lady was out walking in the rain despite her one compromised leg, looking quite fashionable in her one yellow wellie. Perfect attire for weather and location. 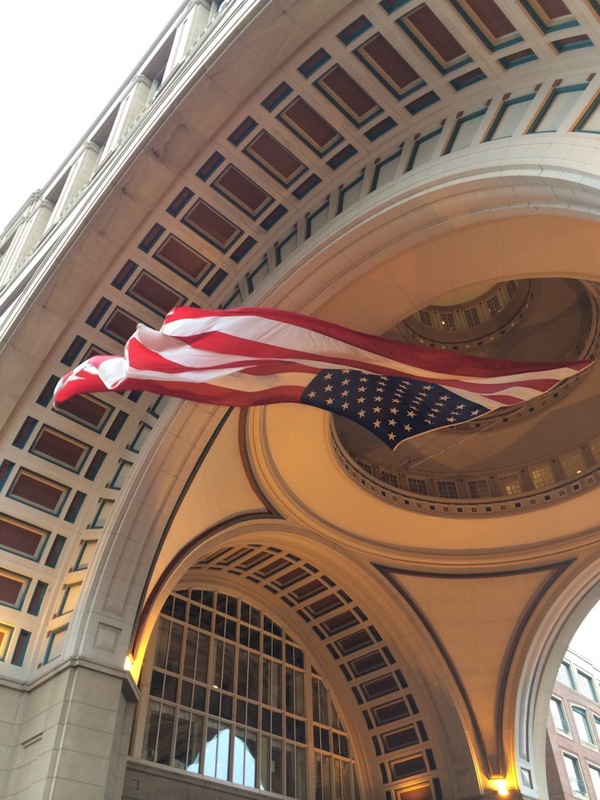 Amongst the many stars and stripes along the seafront, a particularly large, flurrying flag was found within the archway of the Boston Harbour Hotel. This architectural element was put into the design so that Bostonians could continue to have their view through the building and across the water. 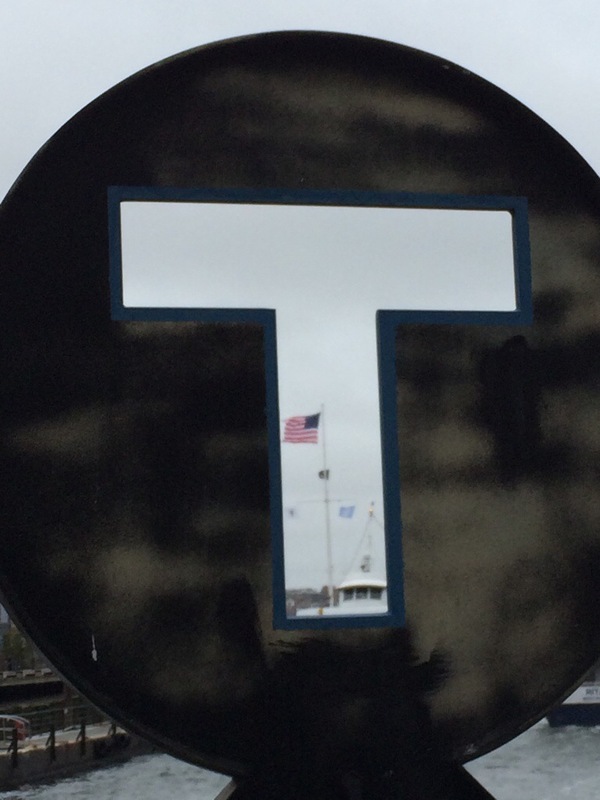 And through the “T” (the icon of the MBTA Subway system), another flag, next to the ship I would later take around the harbour to learn more about the city’s history and planning for a future dealing with climate risk and the threat of floods.